Posted October 1, 2017, 10:01 am by Christopher Mitchell, Ph.D.
With Techstars NYC Summer 2017 drawing to a close, we're ready to announce that Geopipe's first product, Contextsnap, has been launched. 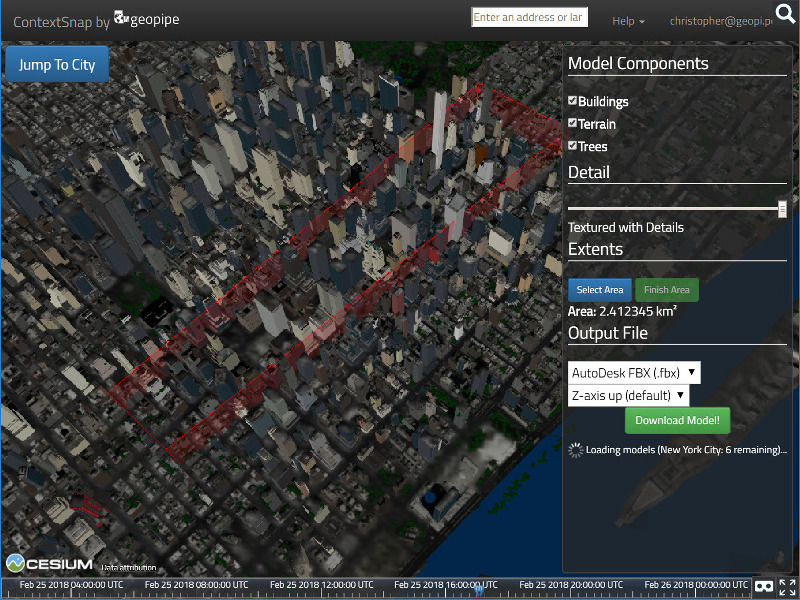 Geopipe Contextsnap is an easy-to-use web interface to instantly download 3D models of the real world. Simply choose the monthly plan that works best for you, and you can immediately start downloading models of any city that we cover. You can evaluate our models and use them for noncommercial, academic applications through our free plan, or depending on the number, size, and detail of models you need each month, choose our Lite, Growth, or Full tiers. 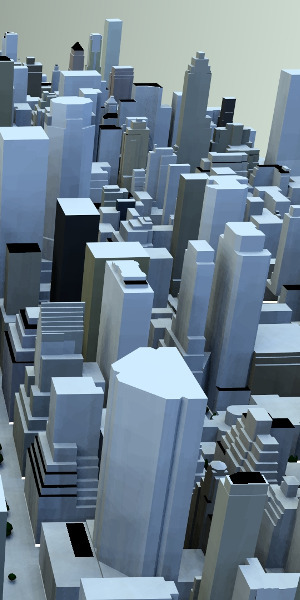 If you have broader needs, especially for more than one user, API access, the ability to request coverage of new cities, and support, please feel free to contact us for a bespoke enterprise plan. 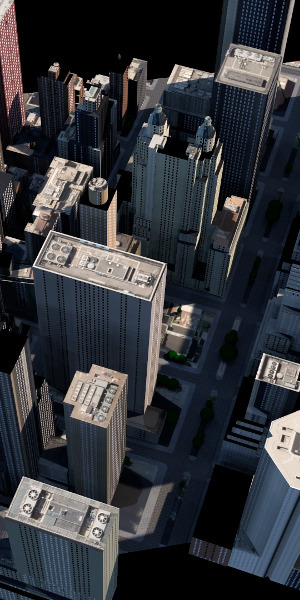 Select the city you need. Draw a boundary around the area you need, and select the level of detail and objects appropriate to your application. 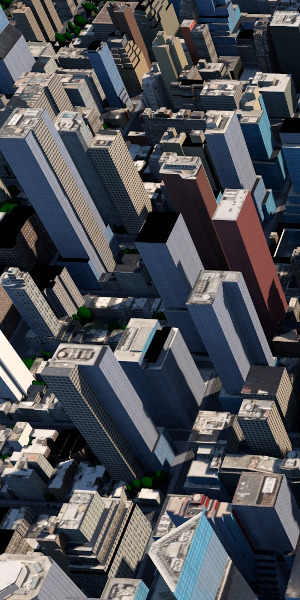 Immediately download a massed, textured, or detailed model in industry-standard formats like FBX, OBJ, and DAE that you can use in the software and workflow you already know and love, like AutoDesk's tools, Sketchup, Rhino, 3DSMax, Unity and the Unreal Engine, and beyond. 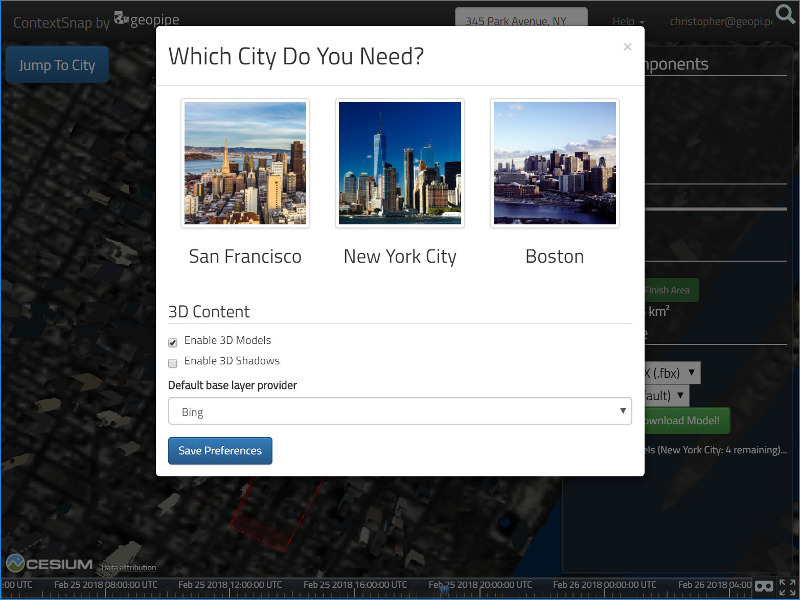 We'll continue to actively develop Geopipe Contextsnap going forward, and of course continue to build the underlying technology to automatically build 3D models of the real world, so if you have any questions or comments, please let us know!